Check out our selection of activities to try out on the incredible island of Mauritius. Known for its beaches, sea and sun, Mauritius is located in the western Indian Ocean, in the Mascarene archipelago, between Reunion Island and Rodrigues Island. This island is an ultra-popular spot for lovers of relaxation and easy living, but also caters to fanatics in outdoor activities loaded with adrenalin and excitement. Located on the south-western tip of Mauritius, Le Morne is the place to be when it comes to kite surfing. 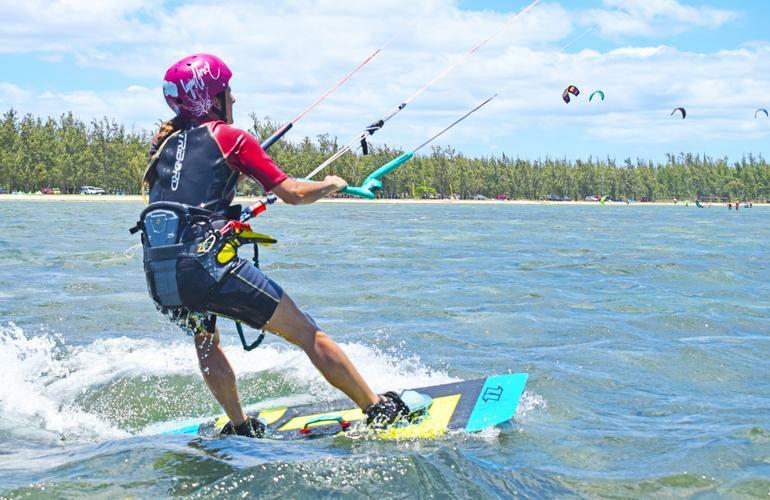 This spot is home to exceptional conditions, including 5 to 10 knot winds, which is more than the other spots in Mauritius, and a large turquoise lagoon offering an ideal playground for freestyle / freeride kite surfing. Thanks to the Kite Lagoon, south east of Point du Morne, Mauritaus is a haven for beginners who are trying kite surfing for the first time and just getting to grips with the sport. When it comes to the more experienced rider, Le Morne promises a healthy dose of thrills and adrenaline. In order to make the most of this ultra-accessible water sport, what is better than learning in a world famous place? Riding on Le Morne is a sure-fire recipe to an unforgettable session, even for those who are seasoned kite surfing pros! Dive into the magical waters at the northern point of the island and prepare to be blown away! This is the perfect way to discover the Mauritian seabed alive with new sensations, and while being supervised by a qualified instructor. Once equipped, and as soon as the dive site is reached, you’ll become accustomed by a quick immersion before the big jump! 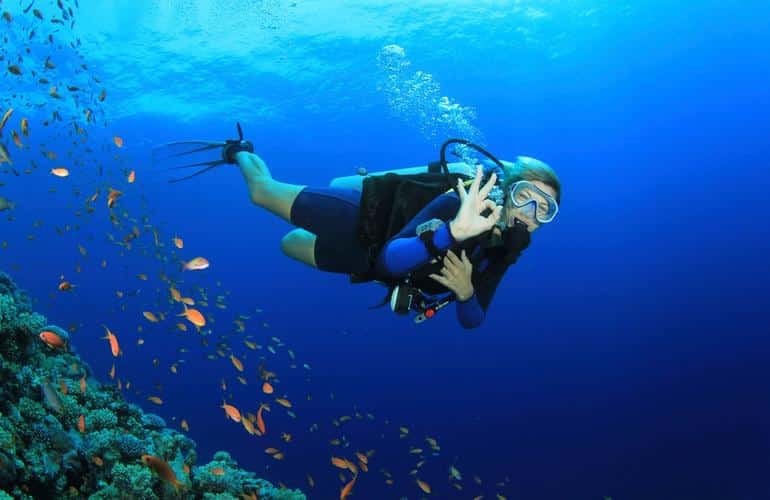 The actual dive will allow you to familiarise yourself with a new environment, local fauna and exotic flora, not to mention leaving you with memories you’ll be talking about for years. Want to explore the seabed with the agility of a dolphin? Maybe you don’t just simply want to dive, but you want to try something a bit more original? 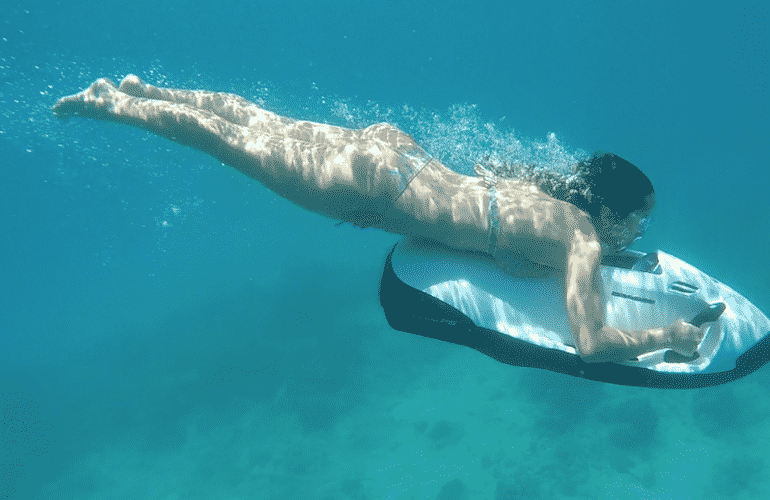 How about jumping aboard the Seabob! This submersible nautical vehicle lets you uniquely discover in style down to 2.50 meters deep and is equipped with an easy to use mask. In the heart of the turquoise waters of Mauritius, clinging to this electric underwater vehicle, youll experience the rare pleasure of gliding through the waters of the Grand Bay. So, what are you waiting for, it’s time to sign yourself up to the Seabob experience. Feeling adventurous and fancy a rainforest expedition in the heart of Mauritius? Your goal; the 7 cascades of Tamarin, which is a total feast for the senses! The views are loaded with breathtaking mountains, rivers, forests and famous waterfalls. This half-day hike is open to everyone, including those with little or no experience in this kind of activity. Enjoy the wild fauna, bequtiful flora and the beauty of mother natures creations. If water sports aren’t really your thing or you just fancy a day on dry land then a hike like this will perfectly meet your expectations, and offer all nature and animals lovers a wonderful experience. 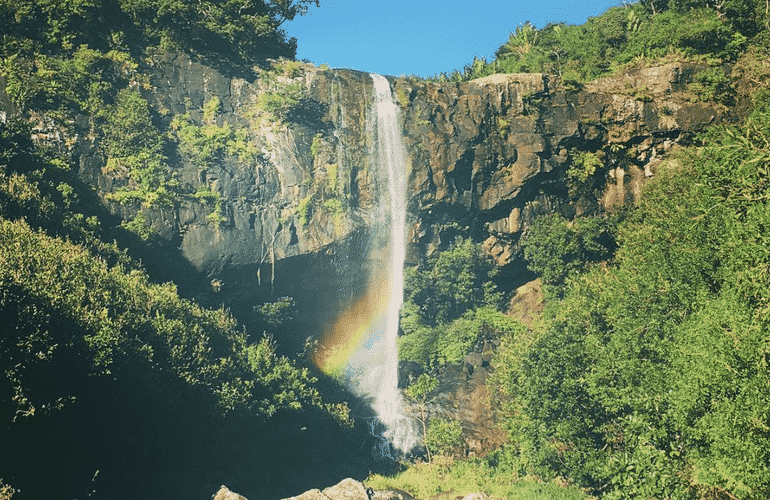 Exotic plants, beautiful birds and incredible views, the superlatives are not even enough to describe what awaits you during this hike through the centre of Mauritius! In a previous article, Adrenaline Hunter’s Blog gave you “10 tips for getting started in Stand Up Paddling”. 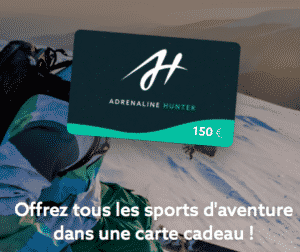 It is now time to put them into practice, on the occasion of your trip to Mauritius! 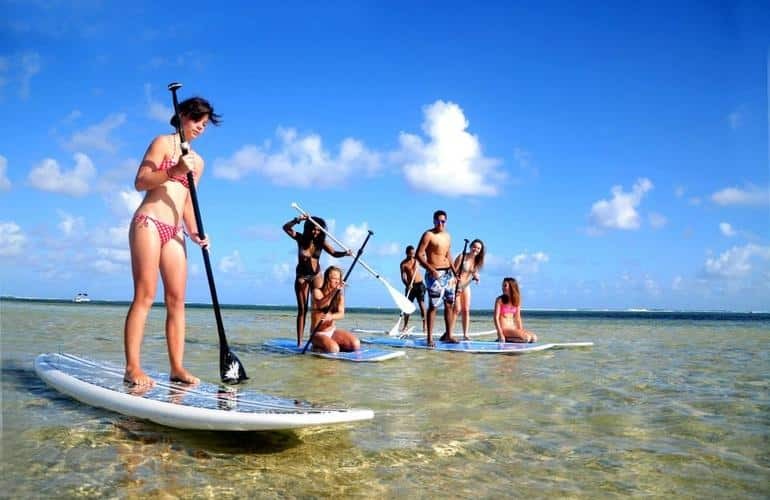 A ride on a SUP is indeed a perfect activity to fully enjoy the Mauritian waters, and the sumptuous landscapes offered by the island. The East Coast is the ideal place for a ride in Stand Up Paddle board, given its many turquoise lagoons, mangrove labyrinths, tropical rivers and waterfalls. Block out a half-day, and go explore the natural beauties of Mauritius, perched on your bouyant board. Ile aux Cerfs, Ile aux Moineaux or Ile d’Amour, the tropical river Poste de Flacq, the Green canyon of the Great South East River and its waterfalls, or the lush river of Kewal Nagar. There are so many treasures to discover and contemplate far away from crowds and noise, thanks to the magic of the Stand Up Paddle. Do you dream of experiencing a takeoff and landing on the water? If so, opt for a seaplane flight and discover the abundance of charm that Mauritius has to offer. Once on board the aircraft, enjoy sensational views of the surrounding nature, including sweeping beaches and colourful coral islands. The crystalline blue water of the lagoons as well as the postcard-like will undoubtedly stay in your mind for a lifetime. Don’t miss the Montagne du Morne, a UNESCO World Heritage Site adorned with miles of white sand guaranteed to fill up your camera roll with beautiful picture after beautiful picture. 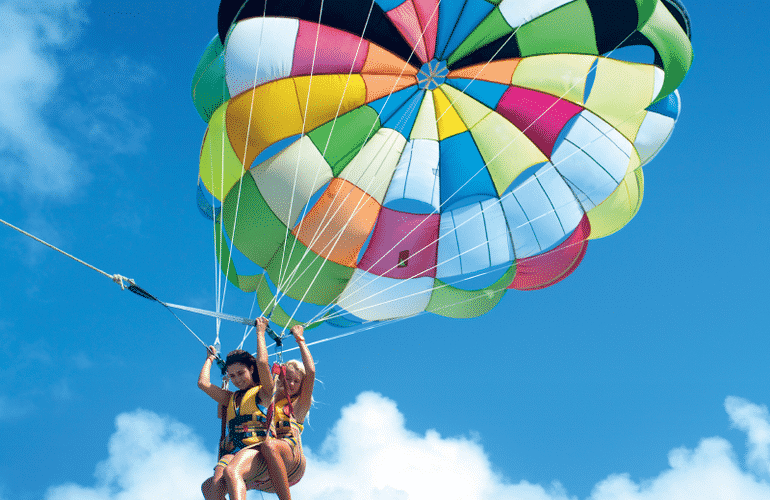 If you’re keen to admire the natural beauty of Mauritius, then parasailing has got to be one of the most interesting ways to do it. Take off from the Trou d’Eau Douce beach, at the eastern end of the island, using an electric winch system, which allows you to soar through the skies while enjoying the tropical lagoon and the magnificent Mauritian beaches. A must-do activity that you’ll never forget and will only leave you wanting to see more of the panoramic views and breathtaking landscapes. For an even more stylish ride than the quad, the Polaris buggy is a thrilling way to transport you on an unforgettable journey! Explore the off-piste landscape of Mauritius aboard this fast and sturdy craft, and let yourself be captivated by the beauty of nature, including the forests and sugar cane fields that you’ll come across on your route. 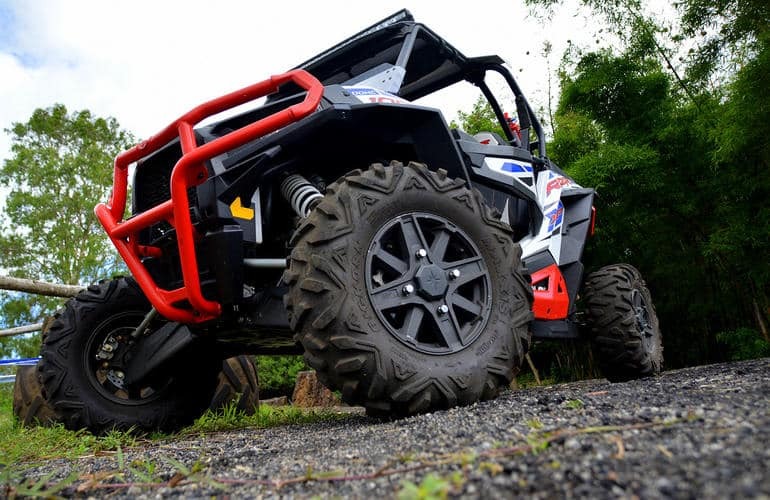 This outdoor activity is ideal for speed and thrills enthusiasts looking for a different way to discover the hidden treasures of Mauritius. 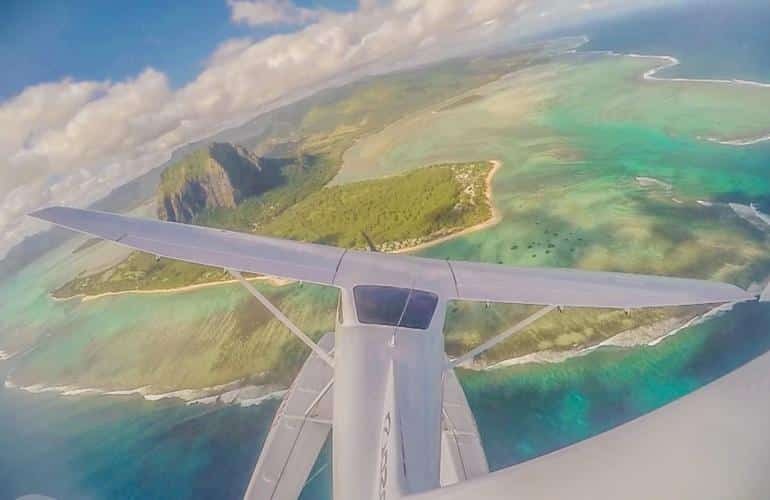 Another perfect aerial activity tailored perfectly for admiring all the wealth of Mauritius, is in an ultra light aircraft seating only 1 or 2 people. 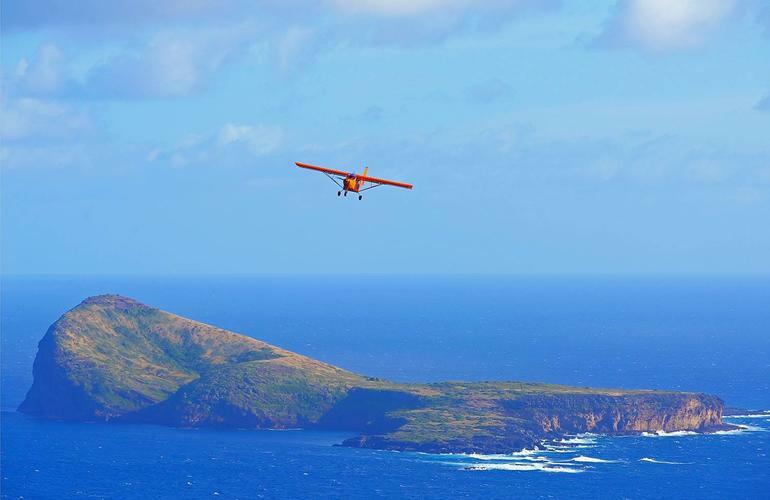 Strap in and experience the intensity of the takeoff, then fly over paradisiacal landscapes and fill up with fun and excitement aboard this ultra-light motorised glider. An unique mode of transport that takes over all your senses with the breathtaking panoramic views and heart-pumping excitement. Honestly, what’s better than admiring the dynamic nature and turquoise lagoons from the sky? We guarantee that this ULM flight will fill the photo album with memories you’ll want to show all your friends. 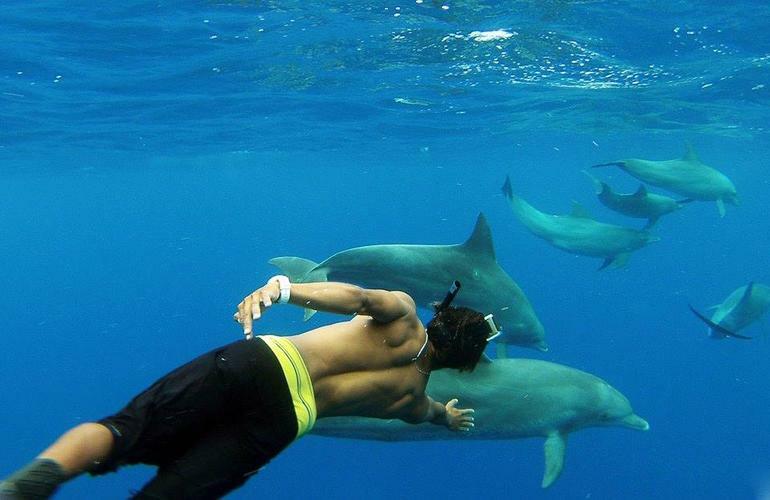 Swimming with dolphins is the all-time dream activity for many holidaymakers, especially if it’s in Mauritius! Swimming with dolphins in the crystal clear waters of the Indian Ocean is a truly memorable activity that promises to satisfy all your wildest dreams. Meeting these marine mammals fills your heart with emotions, and is still one of the ultimate ocean experience for many! Dolphins are beautiful creatures and swimming with them is a privilege, a rare opportunity, and should be a moment appreciated at its true unrivaled value. This really is an essential activity if you want to fully enjoy all the charms of Mauritius!